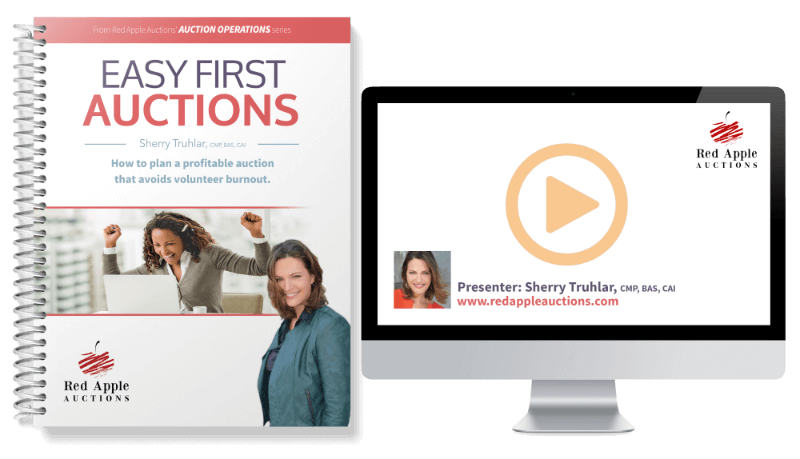 How to properly launch a profitable benefit auction that avoids volunteer burnout (and raises $5k .. $10k … or more!). Are you“getting started” with this auction stuff? Sure, you’re small. Probably a bit nervous. And I know you’re scrambling to figure this stuff out. Similar to startup companies – which became so ubiquitous during the dot-com bubble – organizers of Startup Auctions are trying to find a repeatable and scalable fundraising model for their auction. Like young software programmers, auction organizers often work crazy hours, trying to find a “magic formula” so their event raises much-needed cash. For instance, do any of these sound like you? You’re a BOOSTER CLUB for the field hockey / football / basketball / swim club. You need extra cash for new uniforms / a trip to nationals / better equipment. You’re a PUBLIC SCHOOL needing money for technology / teacher supplies / a school-wide party. Many students are in the NSLP, and the most active parents are tired of “little” fundraisers, like wrapping paper / candy / Box Tops. You’re a SMALL CHURCH raising money for new hymnals / Bible Camp / a gift for the retiring minister. You don’t want to ask parishioners to sit through an extra collection on Sunday to fund it. You’re a ONE-WOMAN NONPROFIT raising money for a new program / operating expenses / expansion of existing services. You have limited volunteers to help you. You’re a RURAL PRE-SCHOOL needing money for playground equipment / field trips / tuition assistance. Your community is new to the idea of an auction. You’re a GROUP OF ENGAGED CITIZENS raising money for the public library / Cub Scouts / a fallen fireman’s family. In this case, you’re likely making a one-time financial gift. You want the auction to be worth your time and generate a gift you’re proud to present. When you’re just starting out, where do you even … um … START? Sadly, there is no shortage of bad examples to follow. I can tell you about groups who went about it the wrong way, burned out their volunteers, made modest (if any) cash, and within a year or two decided an auction was TOO MUCH WORK. Next year, they were back selling pizza kits. 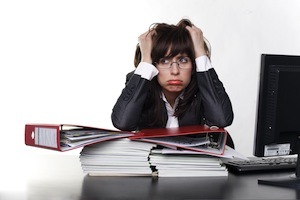 Most of the auctions you hear about (the ones making lots of $$) ARE time-intensive. They DO require lots of volunteers. In fact, a fair number of the ideas on my own Red Apple Auctions’ blog SHOULD NOT BE FOLLOWED by Startup Auctions! Startup auctions are a different animal. YOU CANNOT follow the format of established auctions – the ones I call “Blue Chip” auctions – and expect success. How big is a Startup Auction? Well, due to economic and regional differences in the USA, it’s hard to put a revenue goal on these auctions. But if you’re still confused as to whether this is you, I’d estimate that auction planners running a Startup Auction are probably raising $1500 to perhaps a maximum of $30,000. In looking at auctions nationally, this isn’t a high revenue goal. So my point here is that you are a baby (so to speak), and you’ve got to learn to crawl before you walk. 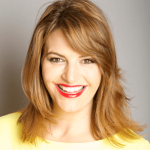 Just like a loving Mama coaches and coos her chubby child to crawl across the floor, I’m going to be coaching and cooing you on this webinar. You’ll learn what you need to be doing – and NOT doing – to plan a successful Startup Auction. We’re going to be looking at EASY stuff … the SIMPLEST, MOST DIRECT way to raise cash and have a POSITIVE experience so your group EAGERLY ANTICIPATES doing it again. Warning: Parts of this training will be a bit mind-blowing. Some of the things you’ve THOUGHT you were supposed to be do will have to stop. Immediately. The MOST CRITICAL INSIGHTS I share with Startup Auctions. This will help you FOCUS YOUR TIME, so you and your volunteers will be energized by the auction’s success (for relatively modest effort, compared to most auctions) and ready for next year! Why you SHOULD NOT be using the same event format as many other auctions in your community … and what you SHOULD BE DOING instead. Tied into this, we’ll cover several samples of TIMELINES that will work BEST for you. 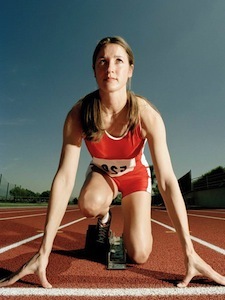 How to REDUCE OR ELIMINATE AUCTION EXPENSES common to other events. You’ll know where TO spend money, and what isn’t worth bothering about. How to NEGOTIATE WITH AN AUCTIONEER, which will be critical for your success. And … if you’ve held an auction ( live or silent) for a couple of years and are still in those early stages, you’ll learn what to “LET GO” and what to KEEP AND / OR IMPROVE to better suit your auction’s maturity. Here are those three Startup Auction case studies I mentioned we’ll analyze. They are inspirational stories! In short, you’re going to learn WHERE TO START WHEN YOU’RE SMALL, SO YOU CAN MAKE IT BIG! ? This isn’t for someone who has been running an auction for years. This is meant for those who consider themselves newbies. Granted, you might have attended some benefit auctions or maybe even helped plan one once. But by and large, this is best suited for someone who feels like they’ve much to learn. You’re probably using a volunteer auctioneer at your event or might be using a professional auctioneer, but he isn’t spending time with you during your planning stages to help you grow. Nowadays she’s more often associated with overseeing galas raising $60k, $150k, or even $2 million. But it wasn’t always that way. Benefit auctioneer Sherry Truhlar started her business by personally helping several nonprofits launch their initial professional benefit auction. Years later, she still oversees several of these events. 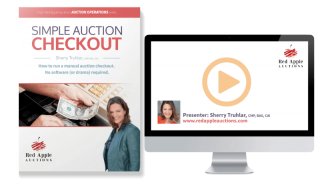 As an expert teacher and national educator on benefit auctions, Sherry will give you all the tools necessary to lay a solid foundation for your event. Your auction will be properly positioned to have success “right out of the gate,” just as her one-on-one clients enjoyed.